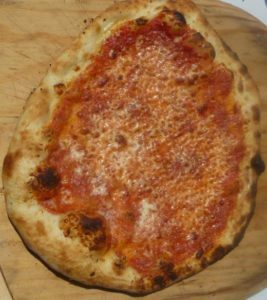 All Pizza della Volpe pizzas begin with King Arthur flour, fine French sea salt, fresh yeast, and pure spring water. Our dough is made fresh for each event (never frozen) hand crafted using KitchenAid mixers. The PdV house sauce is a mix of fine roma tomatoes and our own blend of herbs and spices. Our specialty pizzas feature unique ingredients, assembled in original ways. 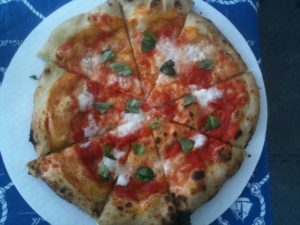 After our visit to Napoli, we also added a classic Pizza Margherita, which pays homage to the original with imported San Marzano tomatoes and bufala mozzarella topped with fresh basil and a kiss of freshly ground sea salt. 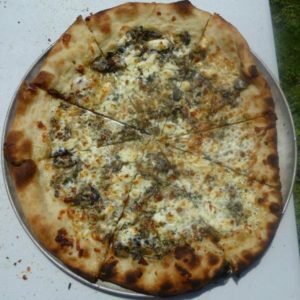 When you engage Pizza della Volpe to cater or provide pizzas for your event, we will work with you to develop a menu that will be certain to please your guests. 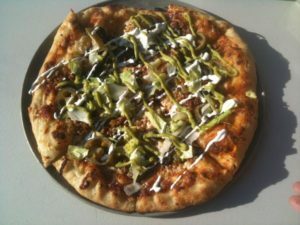 Plus, there are a number of specialty pizzas, toppings, and combinations available. 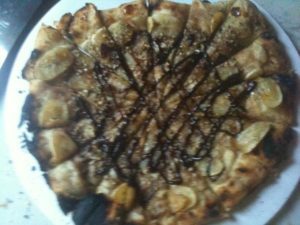 Pizza della Volpe is vegetarian/vegan friendly, and can accommodate nearly any special requests. 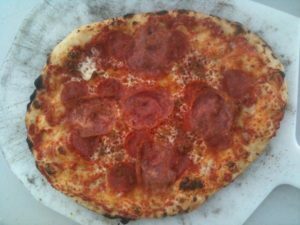 We can dress and bake your favorite BYO gluten-free pizza crusts, too! 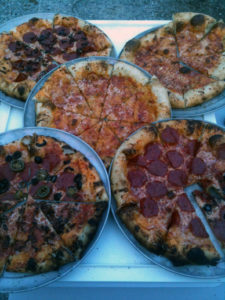 Here are a few of our favorite pizzas. Pizza della Volpe’s basic pizza starts with a homemade tomato and herb sauce topped with four hand-shredded cheeses baked to perfection in our unique wood-fired oven. Pizza della Volpe’s signature pizza features seafood and spices infused butter and olive oil sauce topped with a unique three cheese blend. different sausages and four cheeses. Pizza della Volpe’s homage to the Verita Pizza Napolitana, with imported San Marzano tomatoes and bufala mozzarella, and home-grown basil on our signature thin crust. Our take on the classic southern BBQ sandwich. Starting with BBQ sauce as a base, home-smoked pulled pork, a blend of cheeses, and topped with Grandma’s-recipe cole slaw before serving. 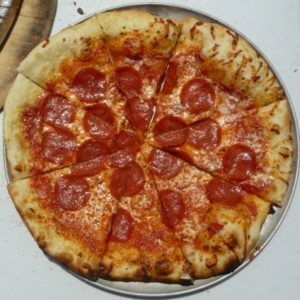 America’s favorite pizza topping, beautiful hot pepperoni cups on Pizza della Volpe’s classic crust with our sauce and special four-cheese blend. Two great tastes together! 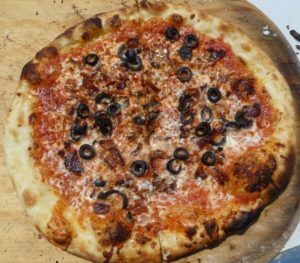 Dakin Farms‘ cob-smoked bacon and sliced black olives on Pizza della Volpe’s Neapolitan-style crust with our special sauce and unique four-cheese blend. 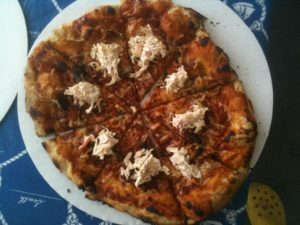 Pizza della Volpe’s tribute to Mexican favorites.